ALL A-B-O-A-R-D-!! 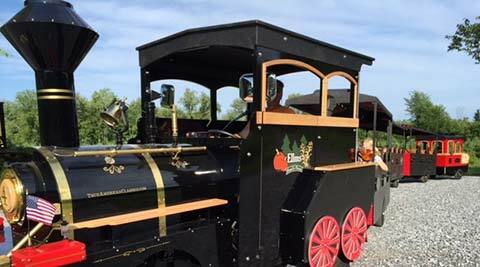 Join in on the fall fun in Upstate NY and climb aboard our trackless Pumpkin Express train as it navigates around our farm. If you have a child who loves trains, this is an affordable fall activity you don’t want to miss! *Pumpkin Express tickets can be purchased directly at the Pumpkin Express Train Station or upon admission.